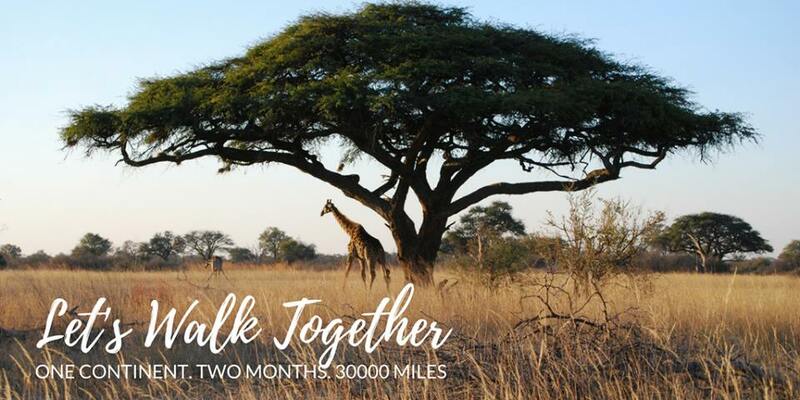 #30000Miles is a virtual walk/run through Africa. The goal is for participants to walk a collective 30,090 miles, either by simply going about their daily routine or by actively walking/running to help AFCA reach its goal. Steps/miles are tracked by Fitbit, Garmin or a free app provided at registration. If participants want to, they can fundraise beyond the $25 registration fee, but there is no requirement to do so. Of course, there will be a nice gift for those who decide to fundraise and who reach a specific goal. The walk/run begins on April 15, and ends on June 17 or whenever the collective goal of 30,000 miles is reached, whichever is first. #30000Miles allows walkers and runners to provide critical aid to children without changing their daily routine – any number of steps taken in a day will help us reach the capitals of all countries in mainland Africa, without having to travel! Anyone can help, wherever they live. Promote the event and get others to join the 30000 mile virtual walk. Like and follow the event on Facebook…. invite your friends and family! Why not get your company involved in sponsoring this event?